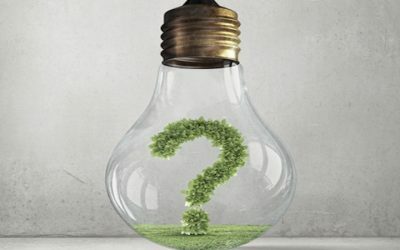 What questions do you want to ask an electrician? If you are in need of an electrician and you don’t know where to begin, these tips may come in handy. Ask an electrician the right questions so you can quickly narrow down your search. So what exactly should you ask an electrician you’re thinking about hiring? It might be tempting to rush into a decision and then deal with the consequences, but asking several questions can ensure you make the right choice. Hiring an electrician and then later finding out they aren’t the right fit can be a frustrating — and expensive — experience. Protect yourself by making sure they’re the right hire for the job. In most states, electricians are required to have valid licenses; don’t take this for granted, however. Make sure the electrician you hire is fully licensed because this ensures they have gone through the necessary training and are equipped to handle the job you’re want them to do. Another important question to ask is whether or not the electrician is insured. The professional you hire will undoubtedly take steps to keep your property safe, but accidents can happen. Liability insurance can cover damages that may occur during the job, and in turn, can protect you from unnecessary headaches down the line. It’s important to know about the experience-level of the electrician you’re thinking about hiring. Keep in mind even the most thorough education isn’t much use without the experience to support it. An experienced electrician has seen cases like yours before and knows how to help you avoid unneeded expenses and setbacks that a more inexperienced professional might not notice. At the same time, finding out about experience doesn’t only refer to the number of years under their belt. It is crucial to learn if they have relevant experience—whether or not they’ve done the kind of work you’re going to hire them to do. Different electricians may have different specializations, and you’ll want to choose one who has a specialty in the work you’re looking to get done. You can even ask for references from previous jobs the electrician has completed that might be similar to yours. Find out if the various parts the electrician will use are under warranty, and if so, how long the warranty lasts. The labor itself might fall under warranty, and some electricians will have a period in place during which you can contact them if problems arise after they finish the work. If an electrician is good, they should be willing to provide you with some kind of guarantee. A professional should be able to stand behind their work, and as their client, you should be able to trust they will get the job done right and fix whatever issues may come up. Most importantly, a good electrician will answer any questions you might have. If you’re interested in learning more about what to ask an electrician you’re thinking about hiring, give our friendly team of experts at Bryan Electric a call at (770) 680-2144. Let us give you information about our electricians that will help you to make the right decision with confidence.